I decided to just do a quick little post today, I have been wearing this design on my nails for the past two weeks because its Halloween! The white is Barry M Matt White, the red is some brand I got in my college kit and has no name and the purple is Makeup Revolution in Take Me. The crosses are from eBay and I got 10 in a pack for something silly like €1.20. Sadly this is as adventurous as my nail art gets for Halloween because I cannot do nail art. 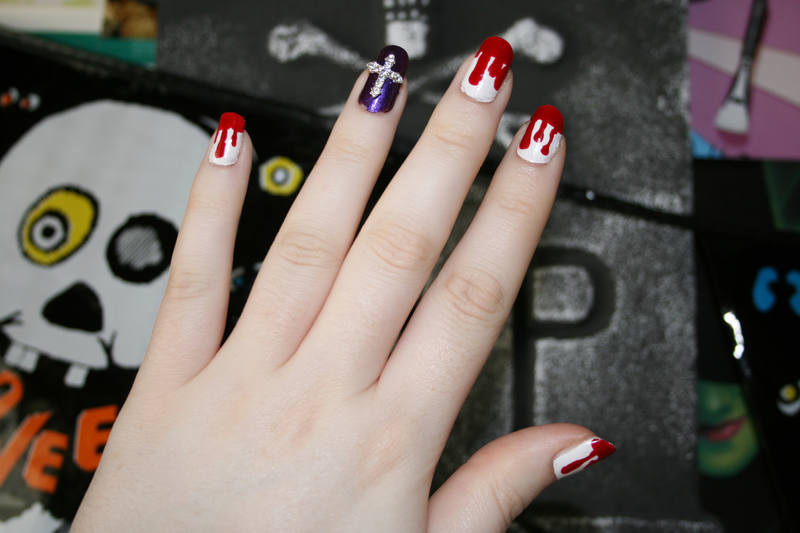 Are you planning on doing your nails for Halloween? These are gorgeous! I can't do nails at all! Which is a shame since I have quite long/nice nails! I'm so fidget that I can't even let them dry, they end up all splodgy! Cannot do nail art?! Girl, you're rocking this one! 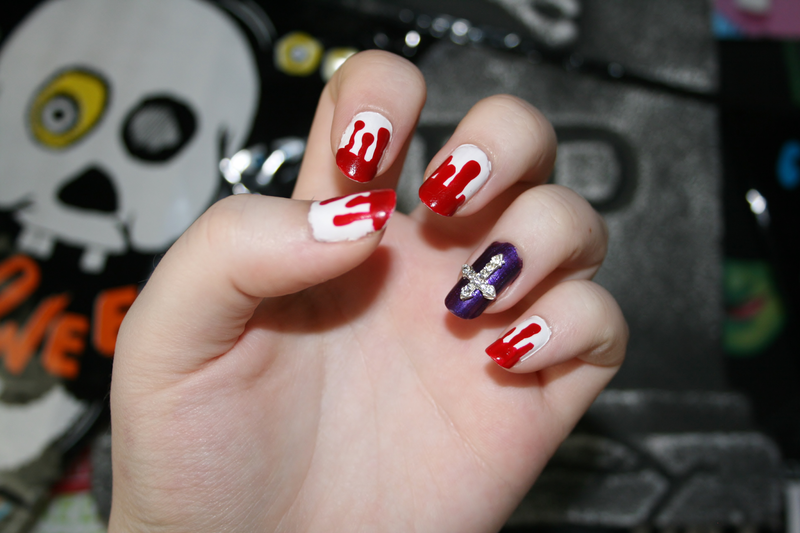 I still need to think of my Halloween nails.